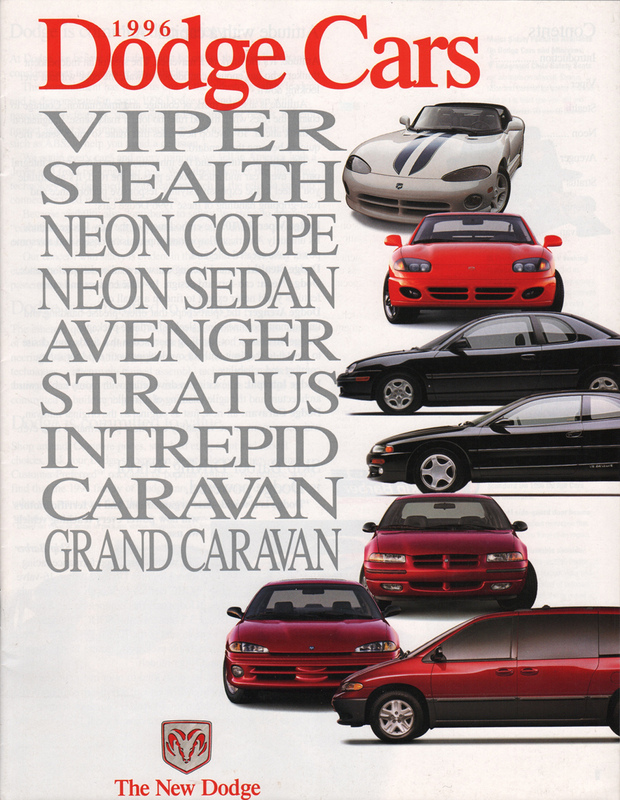 Sales catalog for the 1996 Dodge Cars including the Viper, Stealth, Neon coupe, Neon sedan, Avenger, Stratus, Intrepid, Caravan, and Grand Caravan. Available engines, options, and specifications are listed for each inside. There is a separate sales brochure for the Dodge Truck.